Nguyen Anh Tuan, Vice President of HD Mon Holdings, said that after the decision to postpone the enactment of the Special Law, the real estate market in all planned areas will have many changes but can not break down. 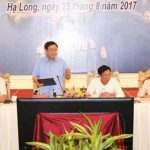 As VietnamFinance has informed, this morning (june 11) National Assembly has agreed to delay the time passed the Law on special economic administrative units Van Don, Northern Van Phong, Phu Quoc (called special law for short) to The sixth meeting (October 2015) with 85.63% of participants agreed. The decision to postpone the enactment of the Special Law is expected to have significant impact on investors in three regions: Van Don, Northern Van Phong and Phu Quoc. There has been a situation where retail investors have withdrawn from the above areas, especially in the field of real estate. 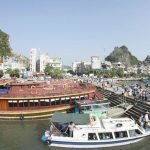 VietnamFinance has an interview with Nguyen Anh Tuan, vice president of HD Mon Holdings, which is investing heavily in Van Don. .
– This morning (June 11), the National Assembly has officially postponed the draft of the district law. As an investor who is investing heavily in Van Don, what do you think about this decision? Nguyen Anh Tuan: I think the Government and the National Assembly have made reasonable calculations. When public opinion still has many opinions contrary, not agree, the postponement of re-approval to adjust, redesign the law so closely, most scientific is very necessary. About investing in big projects in Van Don, we are still deploying normally. In Quang Ninh, we are still receiving great support, so the project of HD Mon is not affected much from this decision. 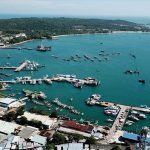 – Do you think that the real estate market in Van Don in particular and the special planning areas will collapse after the decision postponed through the special law? I think that the real estate market in all the special planning areas will have a lot of changes but not break down after deciding to postpone the passing of the special law. These regions are large to large investors involved with long-term plans, models and huge investment. Moreover, the new law only postponed but not abandoned. Therefore, I think that investors will make adjustments to suit the situation. Particularly in Van Don, in the past 2 years, the land is special, especially the land is very fever. The waves here are not crumbling but generally the waves are often hit higher than the previous wave. Investors in many places have brought the money here with the hope of surfing success. Many have succeeded, but many have failed. I do not think the real estate market here will break down. Van Don is a beautiful land, many big projects are coming. Moreover, when the Ha Long – Van Don expressway is open, this expressway connects to Ha Noi – Hai Phong expressway. The travel time to Van Don will be only 1h30 minutes. This is the ideal time for a trip. So, this land will still be a hot spot, there will be no hot land specialties. – According to him, the next evolution of the real estate market in Van Don and the special planning area will be like? 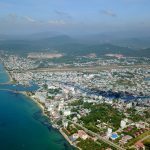 Real estate market in Van Don, Phu Quoc … will slow down a bit. But in general this is the tourist area, there will be no frozen land. From now until the next meeting, there will be only 4 months left. The market will be psychologically sound while listening, but all investment activities will continue. – Will the decision to postpone the passage of the Law (and not yet know when the new passage of the Law) will lead investors to flee the planning zones? I do not answer for other investors. Personally, representatives of HD Mon can confirm, we turned to Van Don to build resort projects, tourism. Van Don is famous for its beautiful scenery, good climate, delicious seafood … There is no reason for us to “run away”. To invest in a certain locality we have a long-term vision rather than a few years. – Please tell us the next plan of the corporation in Van Don will like? As we said, we will continue to implement our plans. However, at the present time, I do not publish yet. – In the past, in order to prevent land fever in the special zones, the local authorities temporarily halted the separation of land, changed the purpose of land use, and transferred the land use right. , do you suppose that the abolition decisions should be abolished? At present, the special law has been postponed through, I think that should loosen the decision should not be dropped altogether. If the cancellation of all the decision on suspension, the separation of land, division, transfer will immediately re-occur. Meanwhile, the time to come to pass the law is very short. The suspension of the provinces is also to protect investors, creating conditions for investors to have premises, reduce costs. Therefore, in order to stabilize the situation, I think the government should loosen rather than cancel completely. 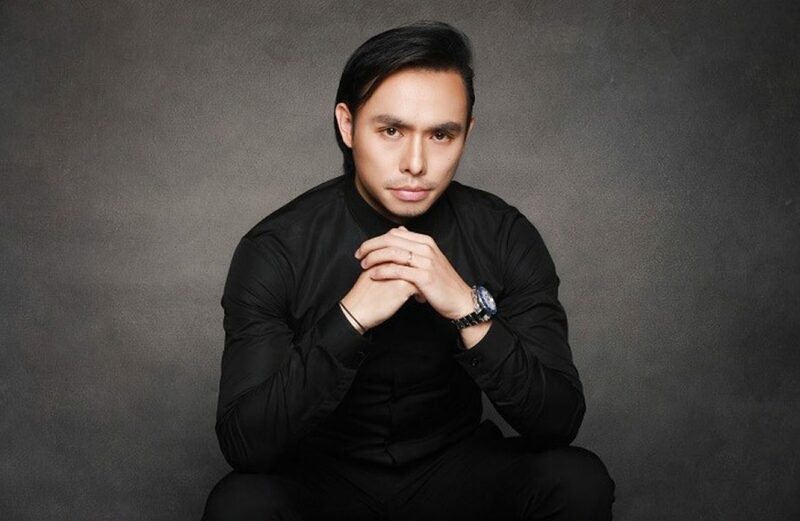 You are reading the article Vice President of HD Mon Holdings: ‘There was no reason for us to flee from Van Don’ in the Real Estate category at https://realestatevietnam.com.vn/.Any information sharing, feedback please email to info@realestatevietnam.com.vn, Hotline 0909890897 (24/7). 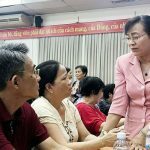 IDICO Tan Phu Project: After The “Black Charge” Blame The Responsibility For IDICO And Hoang Anh Saigon?